Your wish is granted! What you have requested through MyMusicTaste is coming true! South Korea's hottest boy group, VIXX is coming to Malaysia for VIXX Fan Meeting Tour in SE-Asia - Kuala Lumpur on 27 July at KL Live. 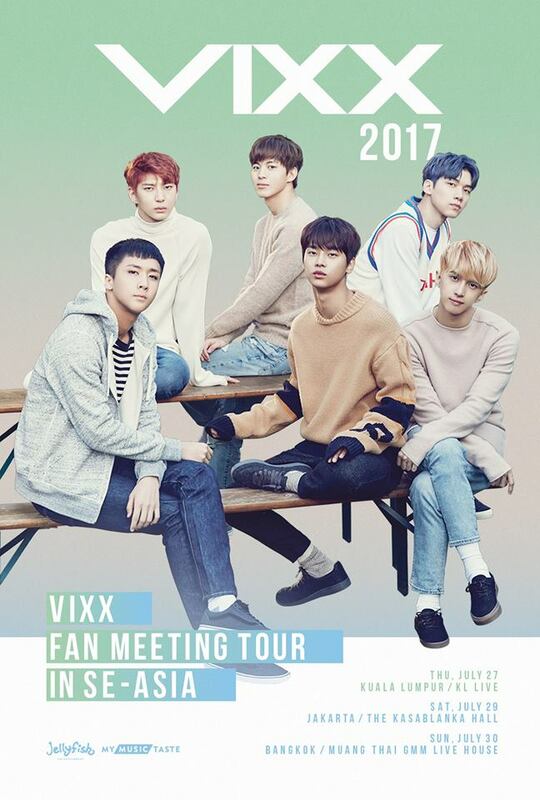 Thanks to your demand via MyMusicTaste, VIXX will be coming to KL for a fan meet tour. So, Starlight gets ready for the fun, fan-engaging activities, wholehearted conversations and breathtaking performances by VIXX on that day! As a special thank you to all TasteMakers, those who made the tour happen on MyMusicTaste, for VIXX Kuala Lumpur, MyMusicTaste has prepared a special gift; VIXX x Kuala Lumpur TasteMakers will receive a presale ticket purchase option on two tickets! Please check MyMusicTaste’s official Facebook for details. *If you are not a MyMusicTaste member yet, join us and request your favourite artist's concert on www.mymusictaste.com. You too can have access to special perks when your dream concert becomes a reality!